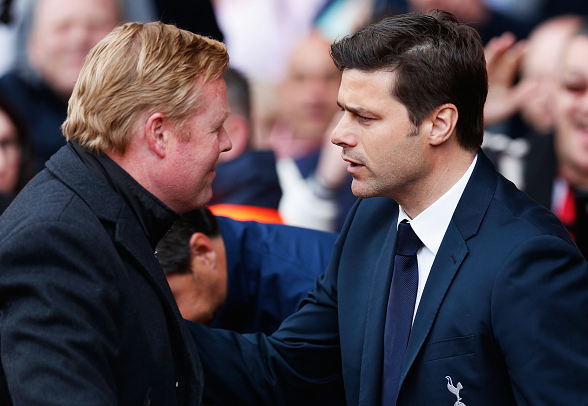 Ronald Koeman's Southampton walked away with just a point for their efforts as Tottenham came from behind on two occasions to salvage a draw at Saint Mary's. Although positioned well away from a tragedy on the satisfaction scale, juxtaposing with that close-shave of a calamity came a failure to exceed expectations in a game where they easily could have. While their season in general falls under the umbrella of success, considering the exodus that ensued over the summer, it's the failure to withstand the mileage that has caused a few stumbling points on the road. Remaining outsiders to secure Champions League football in the campaign and in the melting pot to feature in the Europa League next season, far worse was on the forecast initially. Yet, through the remedies applied by their Dutch manager, things were quickly looking up. They made an early climb, and to the surprise of most, they held their own—just not for long enough. 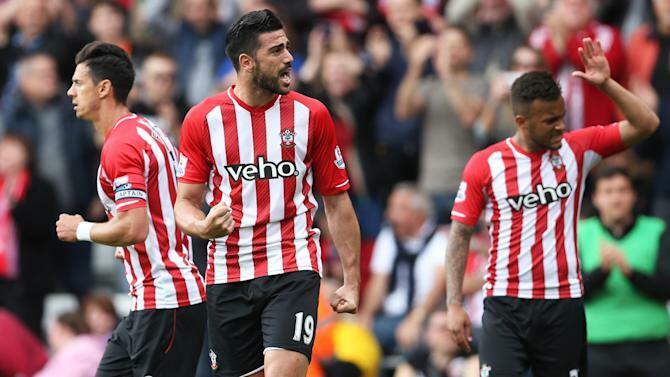 Graziano Pellè continued to synthesise the often-exquisite play of the Saints and bolster his own tally, while a rejuvenated midfield constantly kept the ball rolling around the park. Sustainability was the sole problem. Saturday's lunchtime fixture saw the hosts Southampton squander a lead on two occasions, and not at the hands of the favourite to win the PFA Young Player of the Year award, either. A touch on the buildup to Érik Lamela was the high point of an inauspicious showing from the Englishman, partly down to his opponents' ability to lock him down along with just having a poor game. In that respect, the Saints got the job done, but it limped it's way to the classification of a half-measure at most. Likewise the game itself saw Southampton take the lead, but not get the job done in terms of keeping it; letting it go not once, but twice. A few steps forward, then a retrograde step, dwindling the ambitions that went from little, to tectonic, to little again in the context of how their season panned out. A slight switching of philosophies equated with to accommodate the new arrivals—and the exits—and Koeman seemed to have it all figured. The renowned Dutch "total football" has been experimented with, at times even worked, but the steps back like they did against Spurs just left them short. Southampton's defence has proved to be one of the toughest in the campaign so far, yet the oh-so-inevitable leaks have came at a plethora of inopportune times, and through small errors and mishaps. After Graziano Pellè somehow guided the ball into goal for the opener, there were a number of question marks surrounding the Saints' defence, but those things happen. Defence hasn't been an issue too often, just a switching-off results in exchange of possession, and a crucial conceding. Keeping Tottenham to a draw remains a respectable feat, but when you observe what could've been, that admiration can turn sour. Sans the results, Southampton have put up numerous good performances, football that's good to watch and pleases the players—but letting a lead slip or not turning up on the day leaves their season comprised of mixed emotion. Southampton squandered the lead on two occasions in their draw with Tottenham, epitomizing their Premier League campaign.